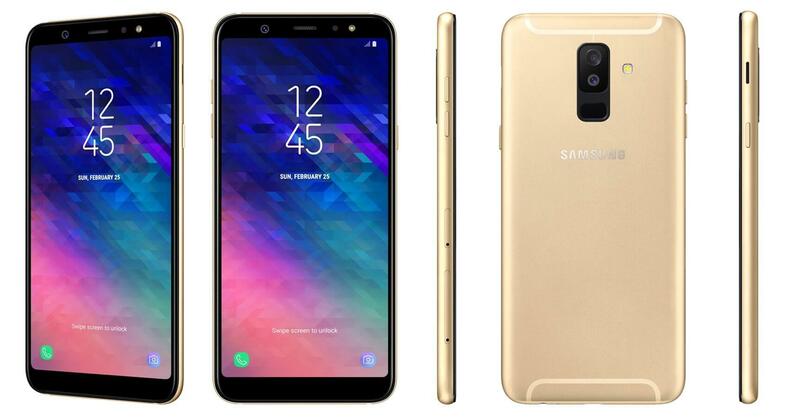 Samsung has officially launched a couple of new phones in the A series. We are talking about the Samsung Galaxy A6 and Samsung Galaxy A6 Plus. Today, the company finally decided to unveil the devices after so many leaks and rumors. These are going to be mid-range smartphones with 18:9 displays. Just like the S9 and S9 Plus, the A6 has a single rear camera with a fingerprint scanner placed below it while the A6 Plus has a dual camera setup on the back. 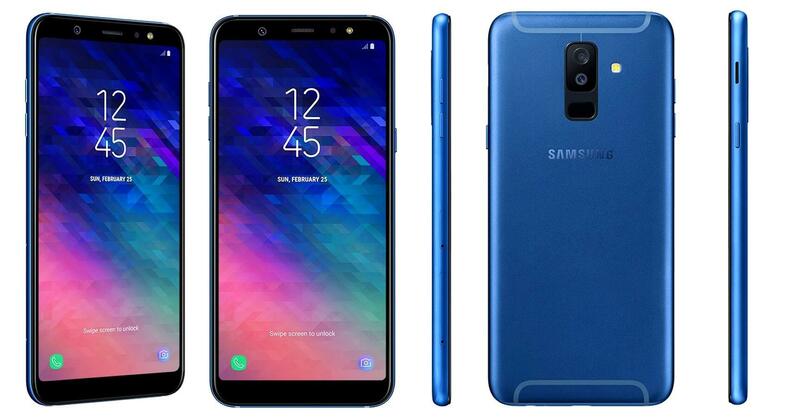 Design-wise, the Samsung Galaxy A6 has a metal build and an 18:9 display on the front with noticeable bezels on the sides. 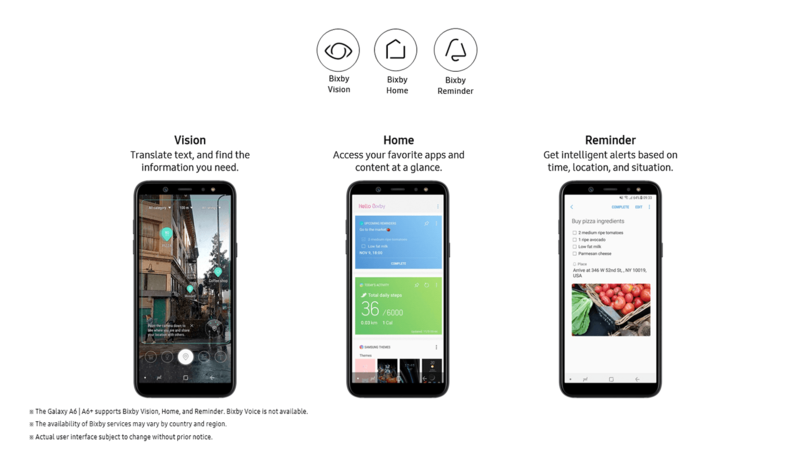 The display doesn’t have any curved edges like the S9 and S9+, but still, Samsung is calling it the ‘Infinity Display,’ a term used to mention the edge-to-edge display of Samsung’s high-end flagships. There are no capacitive touch buttons on the front as the phone has on-screen buttons. The fingerprint scanner is, therefore, moved to the rear, which sits below the camera lens. The design of the camera setup and the fingerprint scanner is same as on the Galaxy S9. Samsung says that both the phones have a flowing design and a perfect fit. 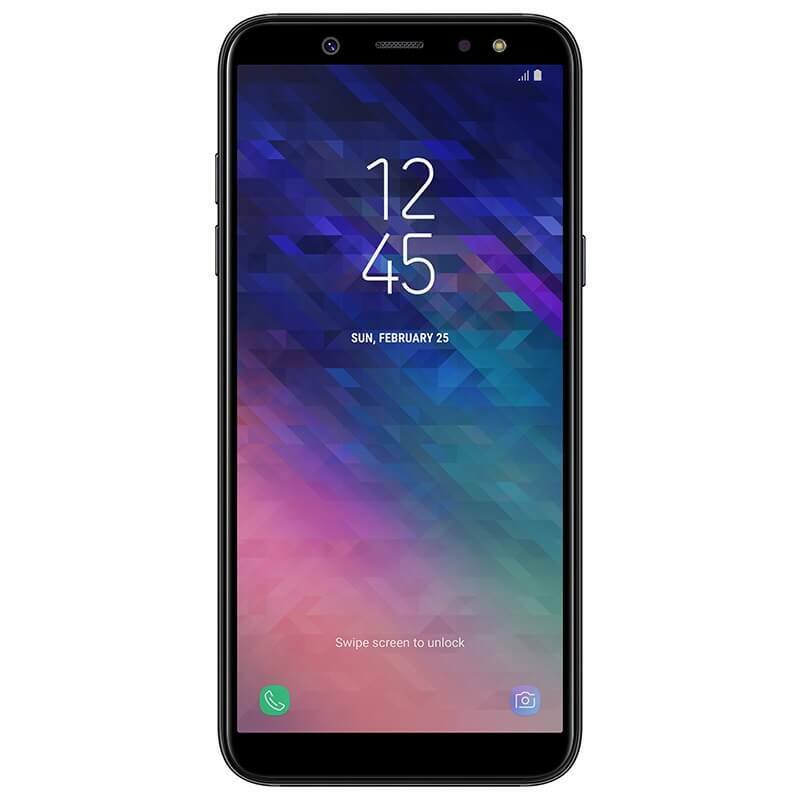 Talking about the specifications, the Samsung Galaxy A6 has a 5.6-inch Super AMOLED HD+ display with a resolution of 1480×720 and hence, an aspect ratio of 18.5:9. The octa-core 1.6GHz Exynos 7870 processor powers the device along with Mali T830 GPU, 3/4GB RAM and 32/64GB internal storage. The storage is further expandable up to 256GB via dedicated microSD card slot. On the rear, there is a single 16MP camera with f/1.7 aperture. On the front too, there is a 16MP camera, but this one has a f/1.9 aperture. Both the rear and the front cameras have LED Flash. The Samsung Galaxy A6 also comes with Face Unlock support along with the fingerprint scanner. The Galaxy A6 has a 3,000mAh battery, and the phone is pretty thin at 7.7mm. 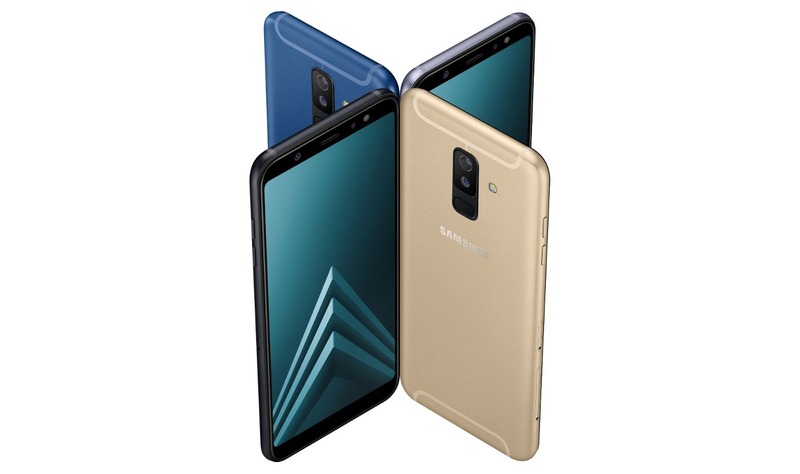 Finally, talking about the pricing of Galaxy A6, the pricing will be different in different countries, but it is going to stay between €300-€340 ($360-$420). 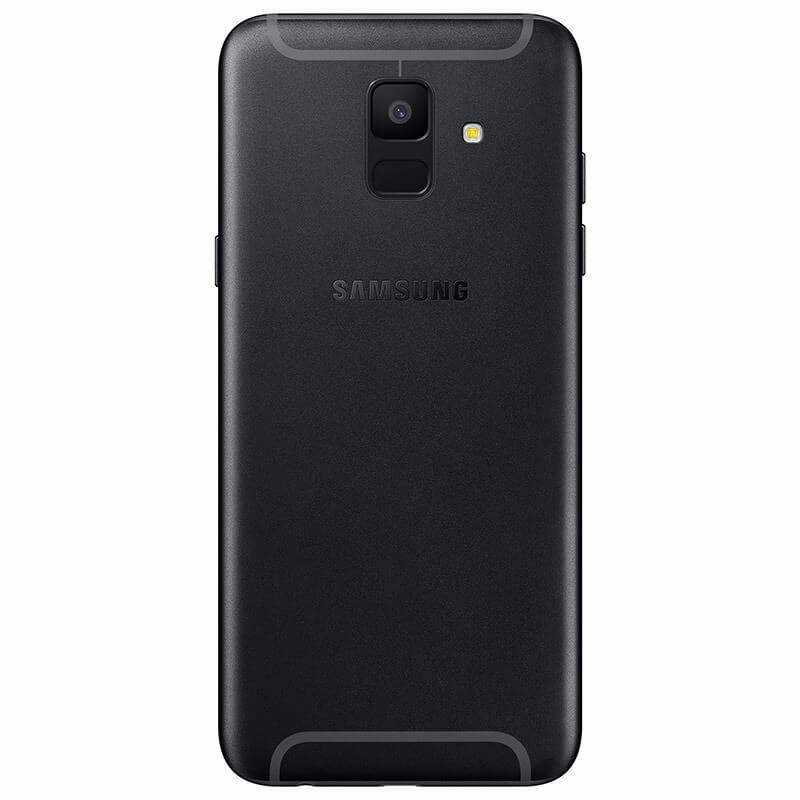 The Samsung Galaxy A6 Plus vs. Galaxy A6 is the same as Galaxy S9 Plus vs. the Galaxy S9. The A6 Plus has a bigger display, bigger battery, dual rear cameras and slightly higher pricing. 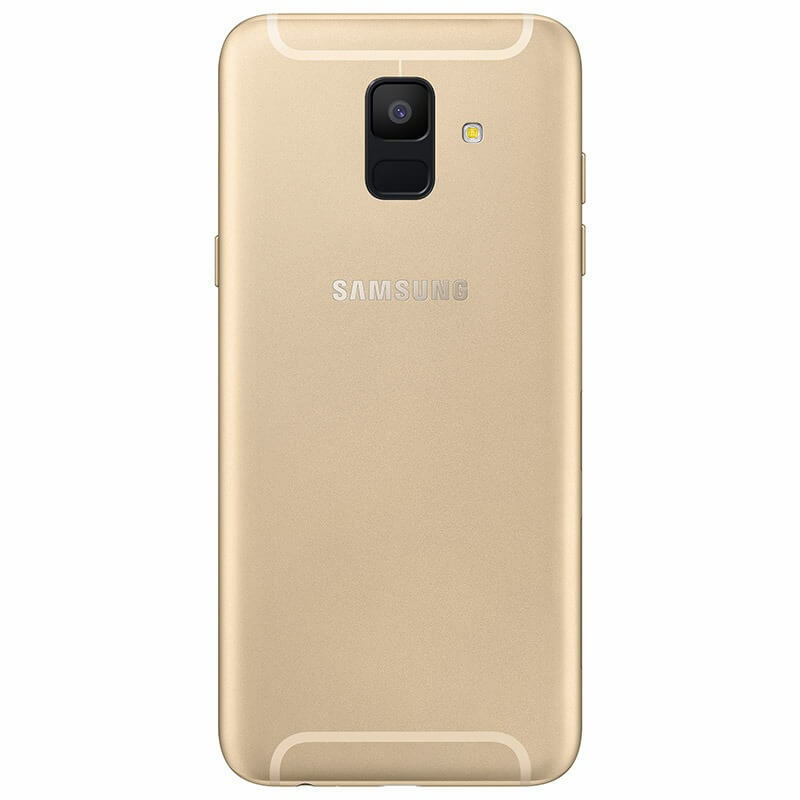 The design remains almost the same if compared to the Galaxy A6’s design. There is now a larger display with an 18.5:9 aspect ratio. As mentioned above, there is a dual camera setup on the back. The speaker is present on the right side, above the power button. The volume rockers are on the left and below them are the slots for micro SD card and dual SIMs. 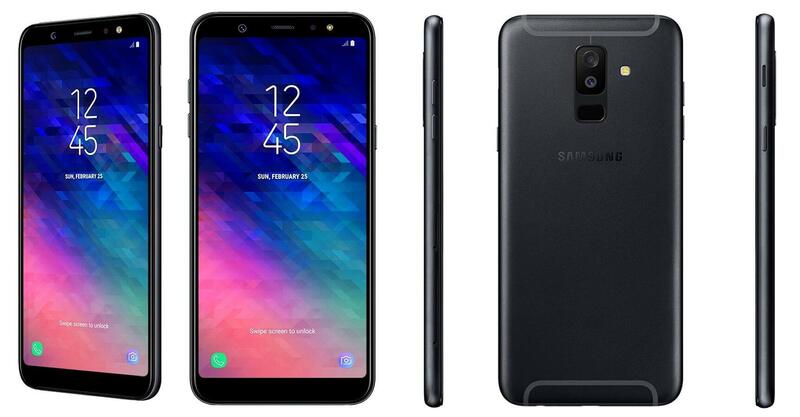 Talking about the specifications, Samsung Galaxy A6 Plus has a 6.0-inch Super AMOLED Full-HD+ display with a resolution of 2220×1080 and an aspect ratio of 18.5:9. It is powered by the octa-core 1.8GHz Snapdragon 450 processor along with 3/4GB RAM and 32/64GB internal storage. There is an option to increase the storage up to 400GB via dedicated microSD card slot. There is a dual camera setup on the rear that includes a primary 16MP f/1.7 lens and the secondary 5MP f/1.9 lens for depth sensing. The dual camera setup brings the Live Focus mode to the phone that is Samsung’s version of ‘Portrait Mode’ or ‘Bokeh Mode’ which lets the user adjust the blur while taking the photo and also after the photo is taken. The front camera gets an update too as there is now a 24MP camera with f/1.9 aperture and LED Flash. There’s a 3,500mAh battery under the hood. Due to the bigger battery, the phone is 7.9mm regarding the thickness. Talking about the pricing, the Samsung Galaxy A6 Plus will have a price between €360 and €400 ($434-$480). Both the Galaxy A6 and A6 Plus have LTE Cat.6 with 2CA, Wi-Fi 802.11 a/b/g/n, Bluetooth 4.2, NFC (though not in all markets), GPS, Glonass, and BeiDou. The color options for the both are Black, Blue, Lavender, and Gold. Finally, the phones will be available from early May starting in select European, Asian and Latin American markets, before rolling out globally to additional markets throughout South Korea, Africa, and China.